Wario Bejeweled is a game for Mac that is based on the renowned Bejeweled saga, in which our objective is to gather jewels that are identical in groups of three or more, so as to clear the board before the time runs out. 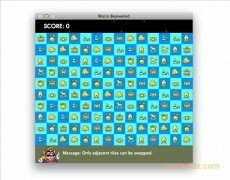 This time around, Wario, Mario's archenemy, has to recover all the jewels that he has lost throughout a series of levels. 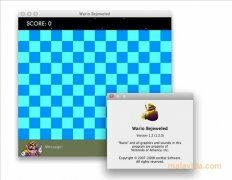 The graphics are rather simple, but this is totally compensated by the playability that the game offers, that is very fast and easy to understand. One of the aspects that you will have to take into account in each game is that you'll possibly run out of movements while your play, so you'll have to choose wisely when you decide which group of tiles you want to eliminate in each step. 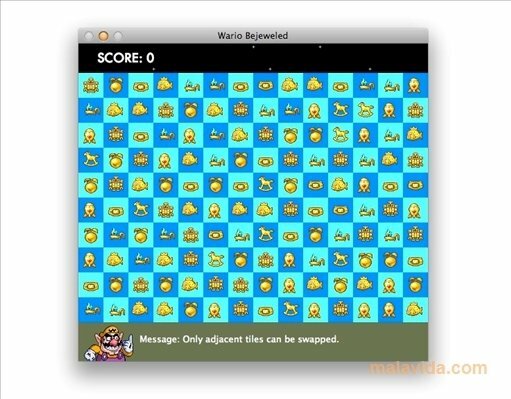 After you obtain certain scores you'll be able to unlock new levels. 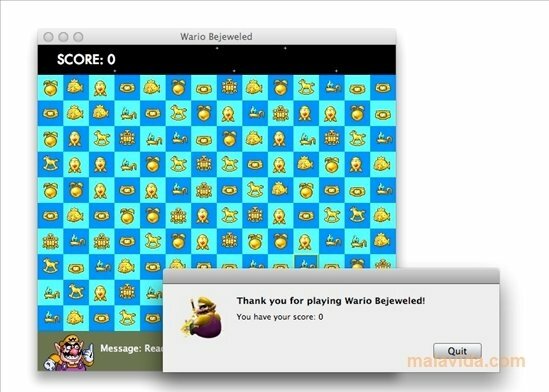 Help Mario's worst enemy to recover all his treasure in Wario Bejeweled.